Australians spend more than $18 billion dollars per year on all forms of gambling, making them the highest gamblers per capita in the world, according to a University of Sydney study. Their $1,500 per capita gambling craze moved more toward poker after Australian Joe Hachem won the World Series of Poker Main Event in 2005. However, this year the Australian government moved to close legislative loopholes that allow online poker providers to serve the nation. In August, The Sydney Morning Herald reported that new legislation was leading to an exodus of online poker giant including PokerStars, Poker Party, and 888Poker, which have been providing accounts to an estimated 130,000 Australian players. “Poker service 888Poker told its Australian users earlier this year that their accounts would be closed and they should withdraw their funds. PokerStars is expected to withdraw from Australia once the new laws take effect,” reported SMH. 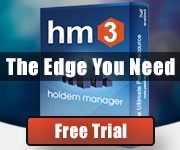 However, with a history of flaunting national laws, Ignition Poker, the .eu site formerly known as Bovada, announced its move into the Australian market as other companies withdrew their services in fear of facing daily, multi-million dollar fines. In the past, gambling policy in Australia has been dealt with by the states rather than the Commonwealth. However, growing concerns about the social impact of online gambling led to the Interactive Gambling Bill 2001 being assented to on July 11, 2001. This year, the Interactive Gambling Amendment Bill 2016 closed loopholes that allowed “in-play” live betting online. Though the law prevents unlicensed operators from offering real-money virtual gambling to Australian players, it does not prevent Australians from accessing or using online gambling services – that’s still completely legal. So, Australian poker players who want to play online can do so if they can find a provider, such as Ignition Poker, who is willing to take the risk of open accounts for them. The brazen decision by Ignition Poker to open accounts for Australian poker players came through a generic email that was sent out to affiliates and other major iGaming media outlets. Ignition Poker, part of the Pai Wang Luo Network, is the largest poker site in the United States and renowned for having the softest tables in the industry. The tables stay soft for a number of factors, from the company’s focus on recreational players to the simple fact that all games are anonymized. All players are referred to by non-identifying numbers. On top of this, seat selection is no longer an edge for those paying close attention due to the Quick Seat feature, which automatically moves players to an empty seat. By pooling players from the United States, Canada, China, Vietnam, Australia and several Latin American countries through the Pai Wang Luo Network, which also hosts sister sites Bodog and Bodog88, Ignition Poker is able to maintain an average of 1,200+ cash-game players at any given time. Ignition Poker also offers tournament play with buy-ins ranging from $0.25 to $540, including both Holdem and Omaha variants. Due to the anonymity of transferring funds through bitcoin, Ignition Poker provides plenty of incentives to Australian players, as well as everyone else, to use the cryptocurrency. In general, gambling operations that run on bitcoin don’t care from where their clients are playing. If you are using bitcoin, there are no deposit fees or withdrawal fees. Additionally, withdraws are paid out in 1-15min instead of the standard 4-10 days. In its bid to bring on board the Australian market, Ignition Poker is offering a solid welcome bonus of $1,000. When you make your initial deposit, you will automatically get a 100% Poker Welcome Bonus up to $1,000. 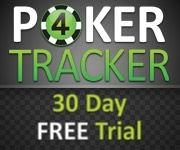 You then have 30 days to unlock as much of it as possible by earning Poker Points. Though poker giants, such as PokerStars, Party Poker, and 888Poker are fleeing the Australian market as Interactive Gambling Amendment Bill 2016 is pushed through, Australian poker players don’t need to panic. Ignition Poker is quickly moving in to fill the void, offering a healthy welcome bonus and some of the softest tables online. Have any further questions, reach out to Ignition Poker and let them sort you out, get you back at a table, and felting your opponents.